Ok….One more card, then really I’m going to bed…LOL! I seriously do need to get to bed, otherwise I’m going to oversleep my first day at work…. 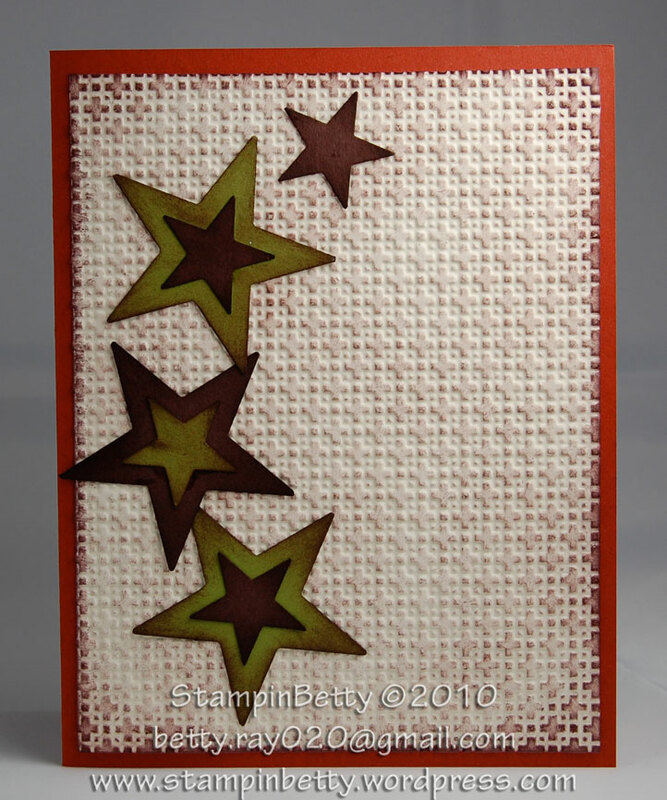 This card is based on a card by Phyllis Johnson, but I did make quite a few changes. Again, since its Halloween, I dirtied up all the pieces (I’m still sticking to my guns….Halloween isn’t supposed to be pretty…hehe), purposely made it so all the pieces weren’t so perfectly lined up and even, added some spooky glam with pearl stickles, and replaced some of the expensive Designer Paper with my homemade patterned paper. 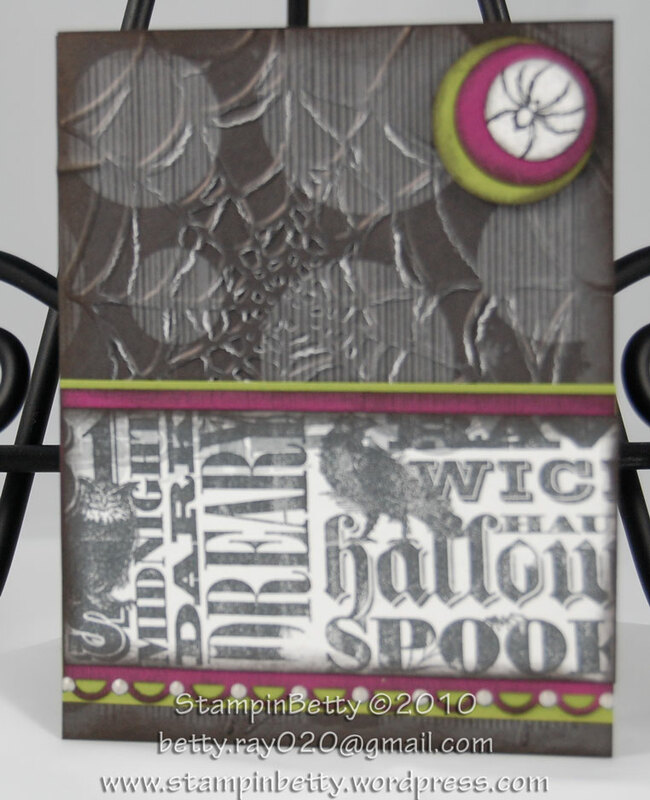 Don’t you just love how the spider web emboss folder makes the dsp crack a little, letting the white core just peek through….Helps add to the disorder of the Spooky Halloween Cards. I should really be in bed right now, but it always seems like when you really need to sleep you are somehow wide awake. Tomorrow is my first day back to selling Mercedes Benz, so tonight I have been running around trying to make sure I have everything organized around here so things don’t get too out of whack. So today has been laundry, packing all my eBay sales so my husband can take over his new role of shipping all the stuff I sell (since I will be leaving for work before the post office opens, and returning home after its closed. ), and just trying to figure out how to fit everything into my new schedule. 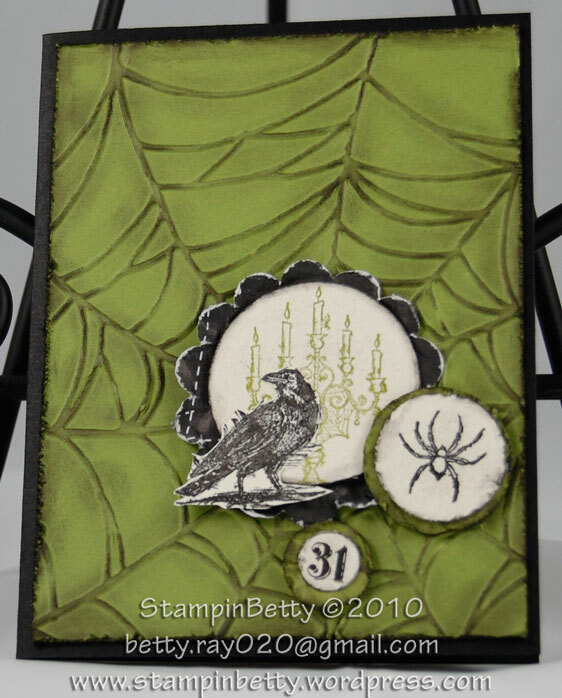 This card was inspired by a card I saw by Elizabeth Price. The only differences are that I added an extra layer by making the card black, and layering the web embossed Old Olive piece on top of it, then I roughed up the edges on EVERYTHING and distressed it all further by rubbing black ink all over. 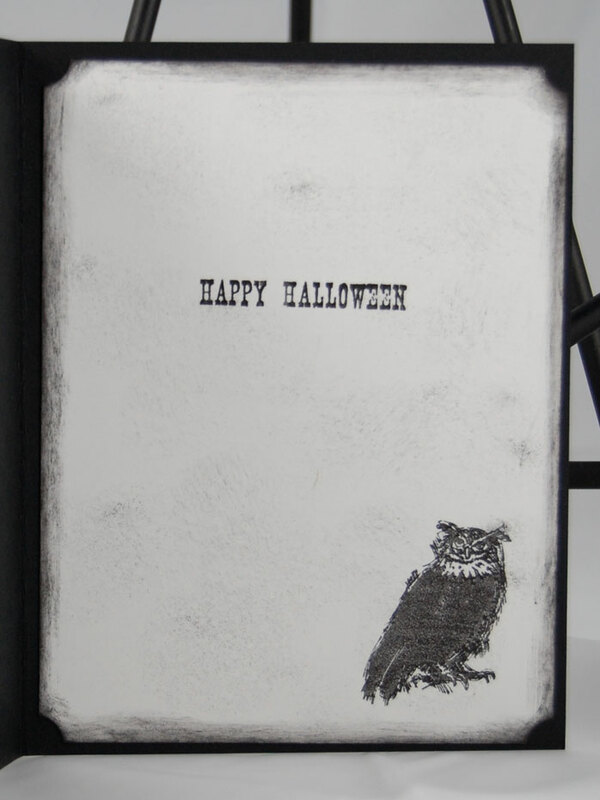 The way I see it Halloween cards should not be pretty and orderly…The should be dirty, disorganized, shall we even say scary? Lol!! Thank you for looking! Come Back Soon. Well, I’m off to a good start on my Halloween Cards. I have a bunch more to post, but they will have to wait. 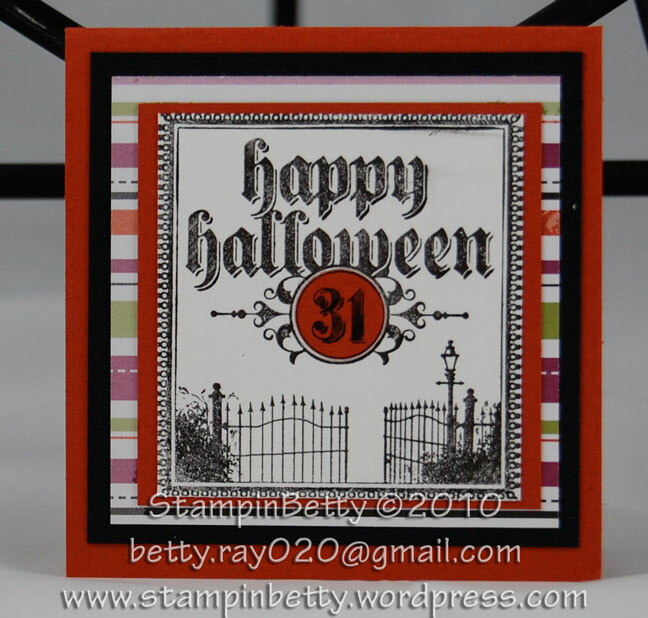 This one is based off a card made by Geraldine Andrade. 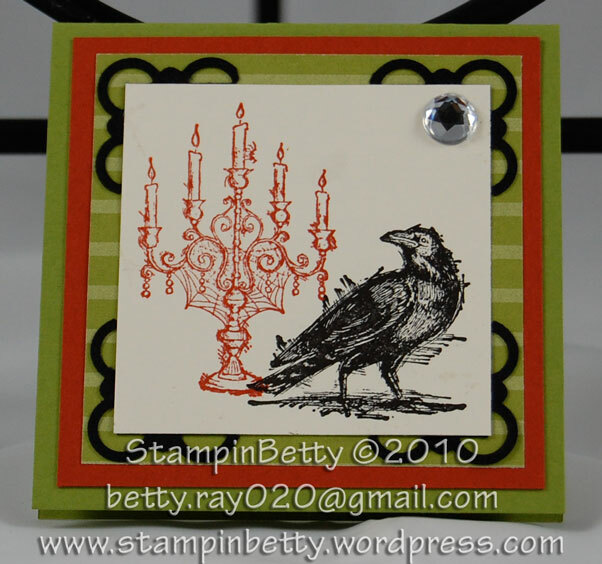 I found her card while browsing samples at the Stampin Up demonstrator only site. 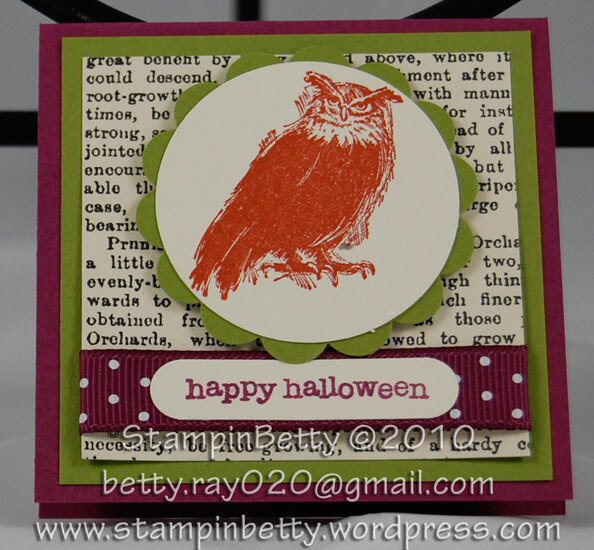 Her card uses the same basic layout, but I changed up the colors, and since I didn’t have that fabulous new punch from the Holiday Mini catalog I just used rectangles and the ticket corner punch for the greeting. I also added some large brads in the upper right to help balance out the layout. 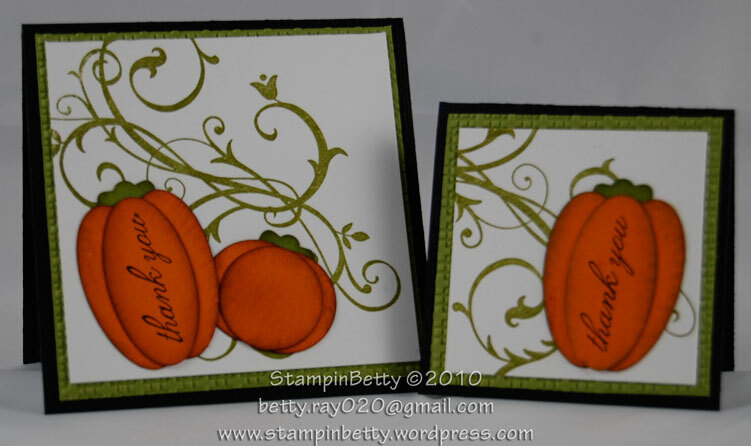 This card is definitely full of texture…you’ve got the embossing folder, the torn paper, the layered pumpkins, and the the big brads…how much more texture could you ask for in one card? It’s time for bed now….But come back tomorrow when I hope to post the AWESOME haunted house I built using the new Happy Hauntings Cricut Cartridge!! Seriously….It’s all about the embossing folder and a little ink to distress and bring out the embossing…love the effect.